The CRP-M pump range is equipped with a permanent magnetic drive in accordance with DIN EN ISO 2858, striking new paths especially for its design of the journal bearings, optimized internal flows and pressures, its high efficiency magnetic drive system and axial thrust balancing. Note: the basic design pressure is 16 bar (232 psi) at 120 °C (248 °F) for material A216 Gr. 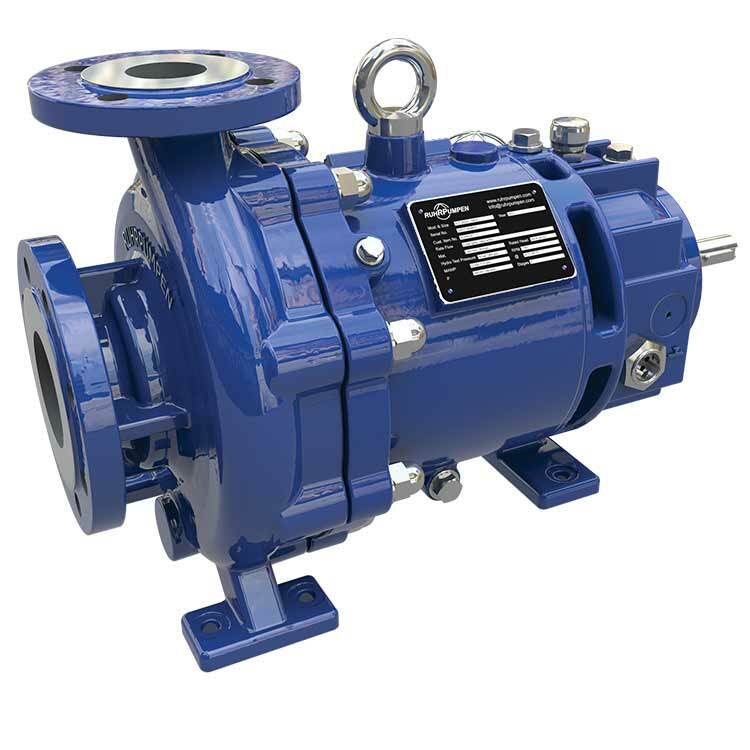 The hydraulics of this pump range is designed to achieve high efficiencies and low NPSHr values. The CRP-M range of magnetic drive pumps consists of 35 hydraulics to meet almost all customer's requirements and is built with the latest engineering techniques and tools such as: 3D Modeling, Finite Element Analysis and CFD-Simulation, in order to assure our customers of the best product quality.